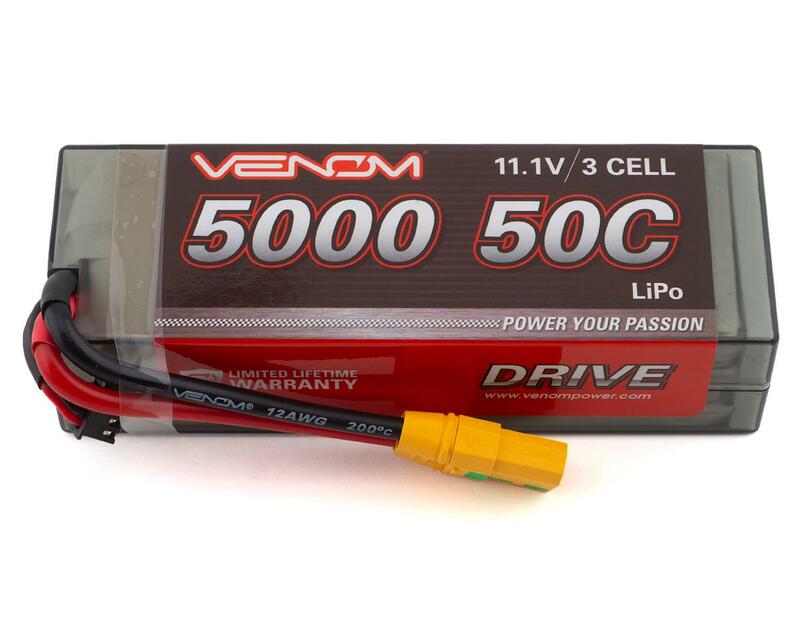 When you want uncompromising power and runtime for your Arrma 6S BLX vehicle, look no further than the Venom 50C 3S 5000mAh 11.1V LiPo Hardcase. 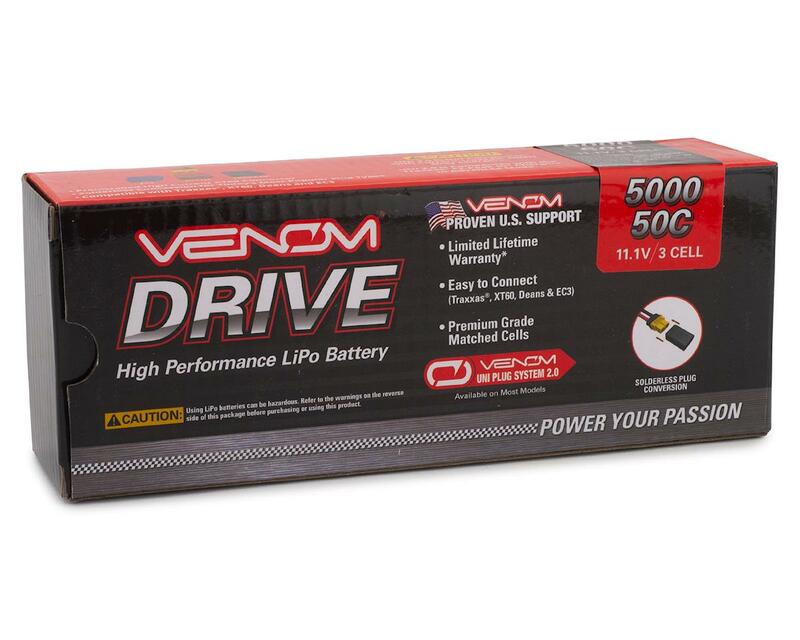 Engineered for the Arrma 6S BLX vehicles, this battery features 5 Amp hours of 3-cell power, created using grade-A, internal resistance matched cells, a genuine Amass XT90-S anti spark connector, and a limited manufacturer lifetime warranty. The built in spark arrest technology incorporated into the Amass XT90-S plug helps to protect against current spikes and premature connector erosion that can lead to ESC failure. These lipos have been great, I've had them for about 6 months now and they've held up really well, when double stacked they BARELY squeeze into an Outcast battery tray(it peels off the sticker a little), and it is tight but they can fit into the Xmaxx battery trays.